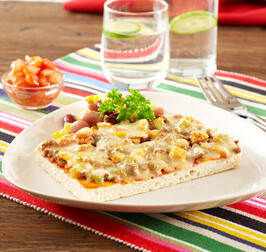 Pan pizza for food service with kebab beef and white kebab sauce. 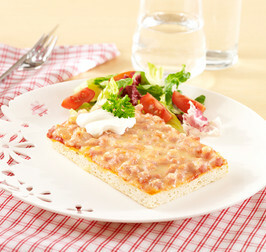 Pan pizza for foodservice with ham and cheese. 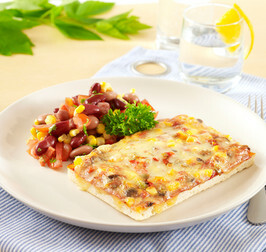 Pan pizza for foodservice with veggie fillig of sweet corn, pepper and black olives.